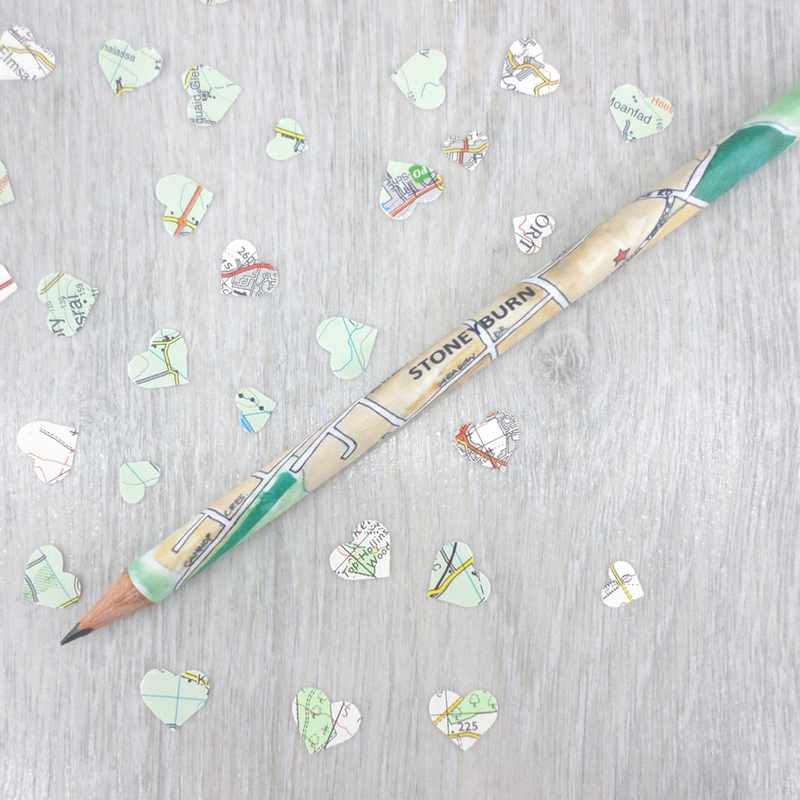 Celebrate your wedding anniversary with a personalised map pencil with the location of where you got married on it. 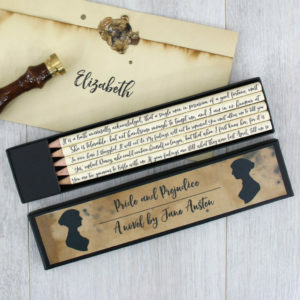 A wedding gift for the happy couple on their special day so they can always remember where they tied the knot. 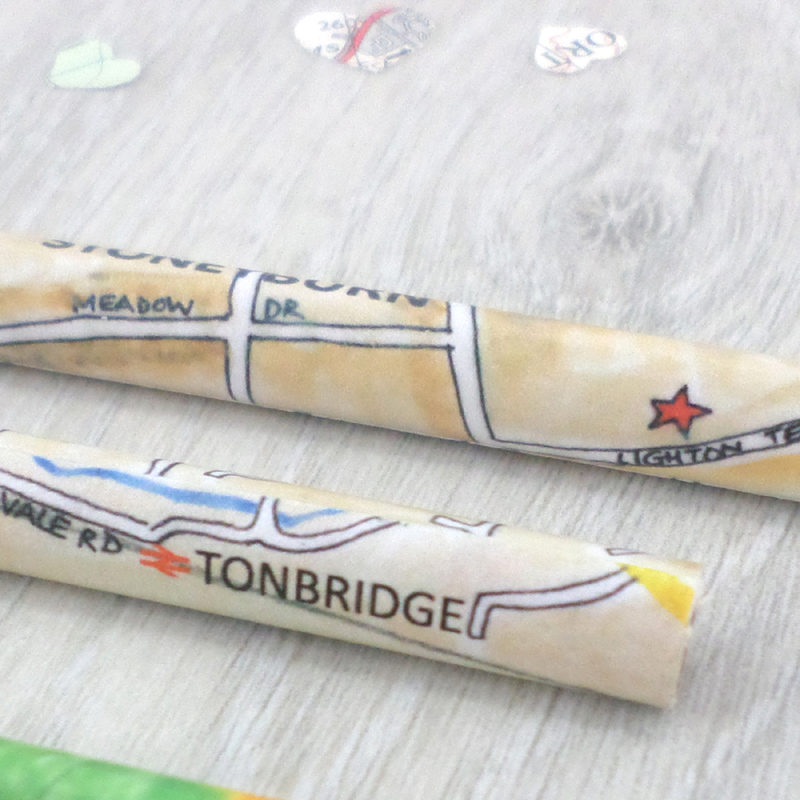 Each pencil is created from a map that I hand draw and illustrate so I can add personalised details to the map if requested. Choose a location that has special meaning to you or the recipient. Where you met, got engaged or married perhaps! 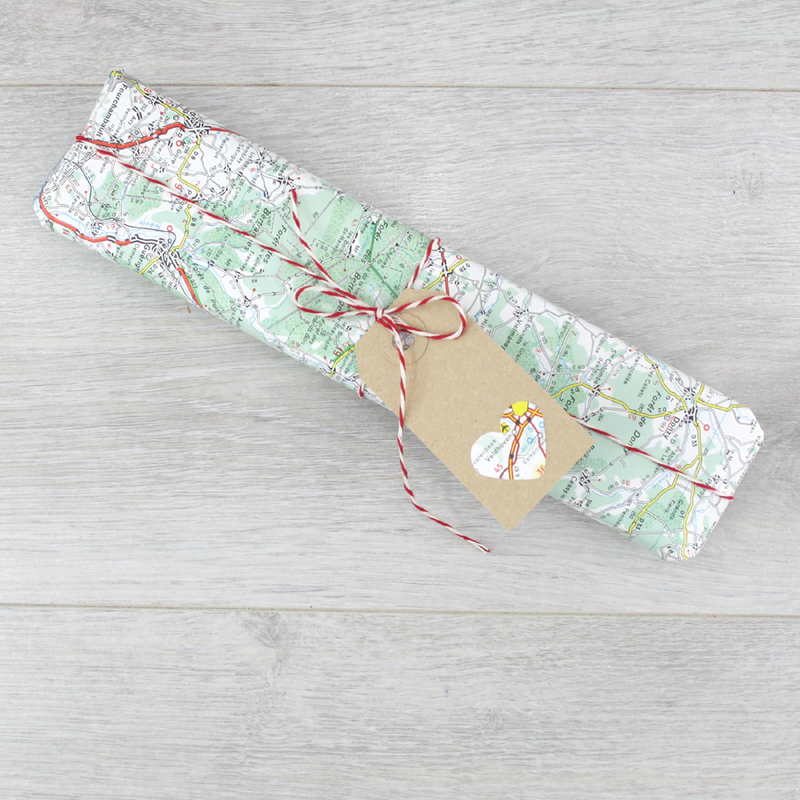 I keep the map on file too, so if you ever want to come back and order more just get in touch. Order a large quantity of the map pencils as wedding gift favours, just contact us to ask for more prices. 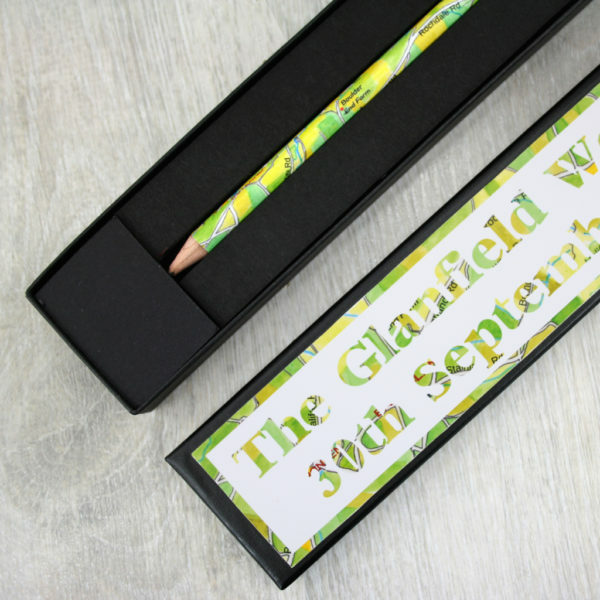 Each pencil comes in its own gift box which you can also add a personalised message to, if you want to add this please select from the options otherwise your box lid will be plain black. Remember that you are covering a very small area so for example if you are picking a city like London it would be better to specify Islington, London rather than just London. 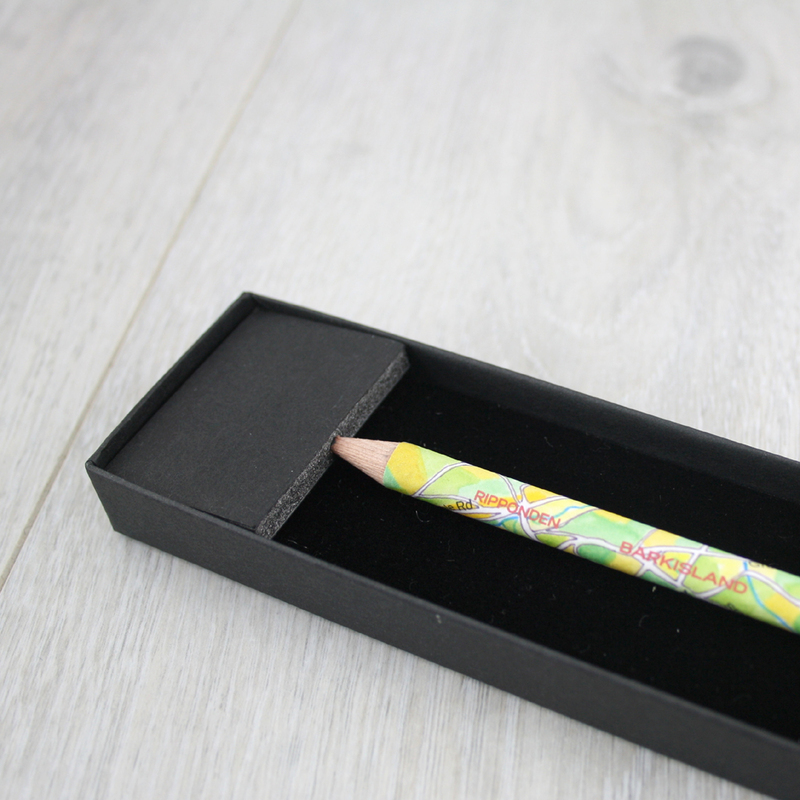 If you select to buy more than one pencil each pencil will have the exact same location on it. 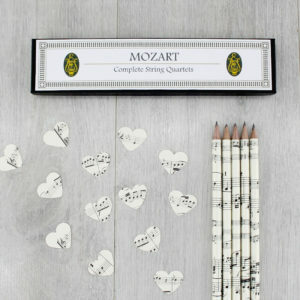 Add gift wrapping to your wedding gift order. 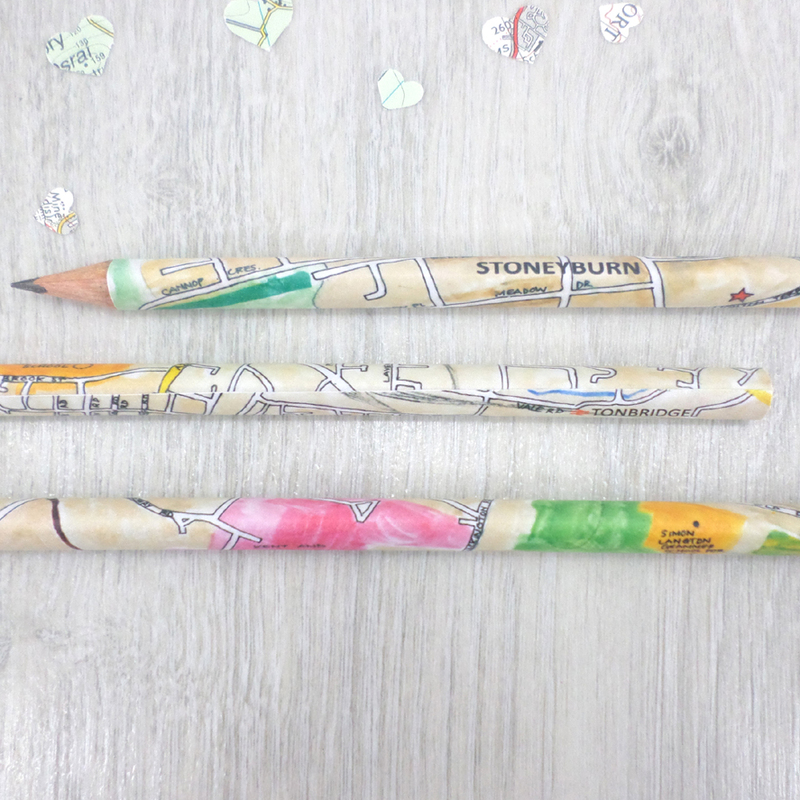 Have your pencil order come gift wrapped in a vintage atlas map. 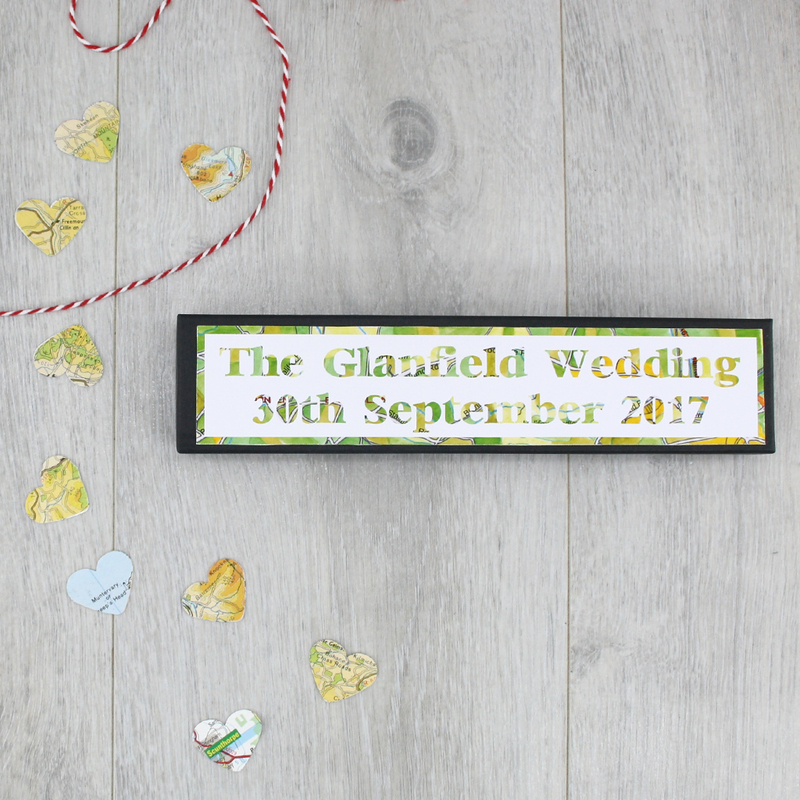 Tied with red and white bakers twine and with a matching gift tag. 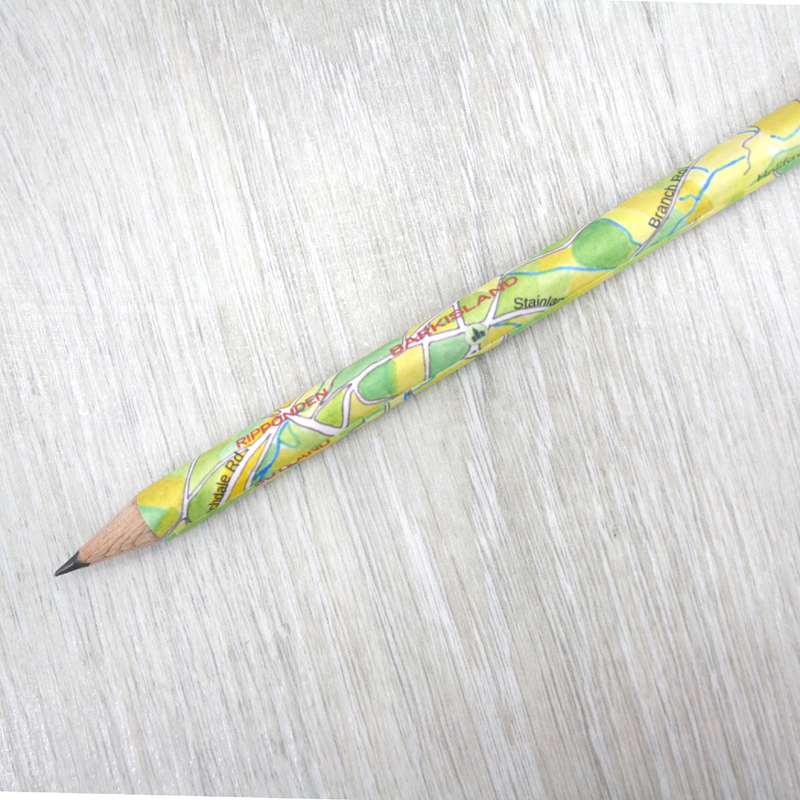 HB 3 sided timber pencil FSC certified. unvarnished from sustainable forests. 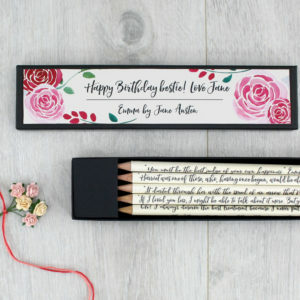 Your pencil is sealed with a hard wearing matt varnish that prevents the text from fading.